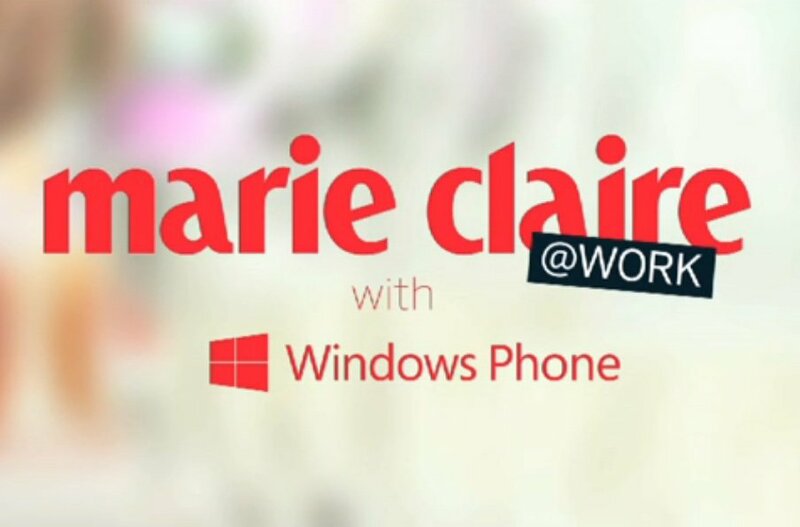 Marie Claire (www.marieclaire.co.uk), a popular women's magazine, held a @work with Windows Phone event in London where a panel discussed the importance of maintaining a healthy work and life balance. The panel consisted of Marie Claire editor Trish Halpin, Holly Willoghby, Balance Me co-founder Rebecca Hopkins and jewellery designer Bec Clarke. The four ladies were joined by dozens of Marie Claire readers for an afternoon discussing women at work and how technology can provide useful features to help smooth out each day. So what was discussed? Juggling mothering duties with building a business, switching off at night with a glass of wine and relying on technology - this is where Windows Phone came into the talk. It's interesting to see how the Microsoft mobile platform helps women stay on top of things when having to carry out a number of duties. Numerous useful tips were shared, as well as answering audience questions. The three women praised their smartphones for helping them manage schedules, emails, etc. more efficiently. Holly's favourite tips for maintaining a good work and life balance were to ensure she was home at 5:30pm no matter what and also to bike around London to help prevent the loss of time wasted in traffic. Guests who attended the event walked away with a goody bag worth over £50. Treats included a Windows Phone mini-speaker, Balance Me skin face mist, Popchips, and a novel from Harper Collins and Marie Claire's April issue. Overall, a successful day for those who wish to learn about maintaining a healthy balance in life. But how do you achieve such a feat, and does your Windows Phone aid you? Let us know your tips and techniques in the comments.